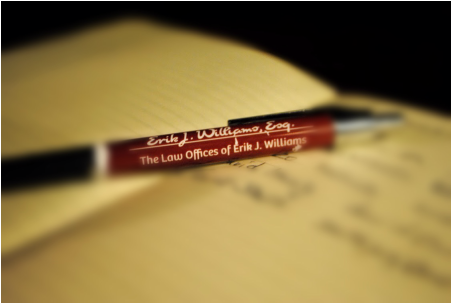 CONTACT - The Law Offices of Erik J. Williams, P.L.L.C. CONTACT THE LAW OFFICES OF ERIK J. WILLIAMS, P.L.L.C. The Law Offices of Erik J. Williams, P.L.L.C. is here to serve your legal needs. Contact us at (202) 749-8368 or erikwilliamsesq@gmail.com to schedule a free consultation. Disclaimer: The use of the internet or this form for communication with the firm or any individual member of the firm does not establish an attorney-client relationship. Confidential or time-sensitive information should not be communicated in this form.